From the beginning, Universal Robots designed collaborative robots to work safely side-by-side with human workers. We recognized the huge gains that automation offers manufacturers, and we knew that the large safety enclosures required by conventional industrial robots simply added too much cost, took up too much space, and reduced manufacturers’ production flexibility. The ISO specification is named ISO/TS 15066 and is a supplement to ISO 10218, the ‘Safety Requirements for Industrial Robots’ standards. When the last revision of the ISO 10218 standards came out back in 2011, they were focused on traditional industrial robots, collaborative robots were still a new technology and not addressed in detail. We are pleased that the industry with ISO/TS 15066 now has received comprehensive guidelines; ISO/TS 15066 describes the different collaborative concepts and details the requirements to achieve these. In addition to design and risk assessment requirements, it also presents a research study on pain thresholds vs. robot speed, pressure and impact for specific body parts. 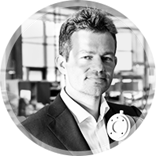 Universal Robots’ Global Compliance Officer, Lasse Kieffer, sat on the ISO committee that worked on the specification, and we see the new document as a solid foundation for future work in this area. ISO/TS 15066 was the consensus reached by the ISO committee’s member countries. The thresholds on robot performance vs. safety are conservative and based on research that will continue to evolve as we unleash the full potential of collaborative robots. 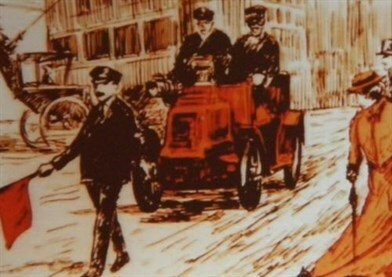 I like to compare the current collaborative robot safety scenario with what happened in England in 1861 when the first cars came out; Since an automobile was such a revolutionary and unknown piece of technology, a law was adopted mandating that a person walk in front of each car, carrying a red flag. Regulations around this obviously evolved just as they will in the cobot industry as users become more familiar and at ease with our innovative technology. But in the meantime, how do the UR robots comply with these first, new specific guidelines presented in ISO/TS 15066? As the leading manufacturer of collaborative robots, our patented safety system features eight adjustable safety functions: joint positions and speeds, TCP positions, orientation, speed and force, as well as the momentum and power of the robot. These functions can be set according to requirements deemed necessary in risk assessments based on the guidelines in ISO/TS 15066. For examples of how our collaborative robots take over repetitive, injury-prone jobs and help improve worker safety, see our case studies.